Episode 19 of the NewRetirement podcast is an interview with Jesse Mecham — the founder of You Need a Budget, a CrossFit/PowerLifter and generally strong guy. We discuss why budgeting is a powerful life altering tool for him and their users, how they got started and what’s unique about how they educate people and build community. Steve: Welcome to the New Retirement Podcast. 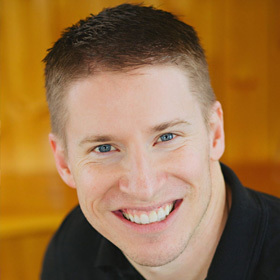 Today, we’re going to be talking with Jesse Mecham, who is the founder and CEO of You Need A Budget, about why budgeting can be a life-altering event and what he’s learned about bootstrapping his business to hundreds of thousands of users at about 70 people. Jesse lives in Lehi, Utah, went to BYU, and is a former CPA and current CrossFit aficionado. Side note, I’ve been watching some You Need A Budget videos, and I looked at some videos that were about four to five years old. Then I did a prep Skype with Jesse, and he looked materially bigger and stronger. I actually had to ask him if that was him in the videos. Steve: So on that note, Jesse, welcome to our show. It’s great to have you join us. Jesse: Thanks. Yeah, glad to be here. Steve: Mate, thanks for making the time. Just love to get a little bit more your backstory, a little bit from you, how you grew up, and how you got to where you are today. Jesse: Yeah, absolutely. I’m one of six kids, grew up in Phoenix, Arizona. Had great, great life as a kid. I had two parents that just raised us well, so no complaints there at all. I was pretty mediocre at anything I tried, but ended up once I got to college, choosing accounting because the job placement rate was so astronomically high out of BYU. It was like 99.5% job placement straight out of school. I thought, well, okay, that gets me a job, so I’ll pick accounting. The rest is history from that point on. Steve: Nice. You’re pretty scientific about it. But then you decided, so it looks like your accounting for a couple years, and then at the same time you were also running a business, so you decided pretty quickly. Jesse: Yeah. Yeah I wish I could say I’d stuck with it for a couple of years, that would maybe show I wasn’t as flighty. I started YNAB the business in September of 2004. I graduated from college in ’06 with a masters in accounting. I worked for a large accounting firm down in Texas for, like ten months. Before I realized, I loved the education, loved what it taught me about business, thinking about business, breaking the financial stuff all that. When it came the actual work it was soul sucking for me. So I got out of that and took a little gig, helping a company do some marketing back in Utah, just to kind of bridge me a little bit. Because I was still kind of afraid of running my own show and you know having my own business pay for this little family, I had to kids and a wife. Jesse: But those fears were unfounded and about four months after I had that little gig, that ended, and I just started working on YNAB, basically full time at that point. Since about 2007 till now, we’ve been, it’s kind of been my soul focus, at least professionally, soul focus. Steve: Nice. Were your parent entrepreneurs or did you just do this yourself? Jesse: My dad is an attorney or was an attorney, just recently retired. So you know he owned his own practice, but most attorneys probably wouldn’t say there entrepreneurs if they run their own practice. They just kind of doing what attorneys do. He did definitely steer me away from being an attorney. That much is sure. Jesse: My mom, she was a stay at home mom, and she was just always there for us. When I came home she was there. So yeah, it was an awesome way to grow up. Jesse: I’ve got two brothers that are pilots in the Air Force and yeah. Sister is doing various things. I’m the only one that started and is running a business, but I’m surrounded by, I’m in a family where people just thought a lot of you, you know. Everyone is very encouraging and, I don’t know, it’s just a good environment. Whatever you chose they’re just, everyone is very supportive, and kind. It’s just, I couldn’t ask for a better family. Steve: Nice. Yeah definitely I think having that belief in yourself and you know, having support around you and kind of take the risk, it’s a big part of it. Steve: There is a lot of data that shows that children of entrepreneurs are much more comfortable starting their own companies and tend to it at a much higher rate. So that’s why I asked that question. Jesse: Yeah I can believe that. It’s kind of, you know you see, maybe your dad or mom doing it and it’s just normal to you. You know, and so you naturally gravitate towards starting your own thing as well, that makes perfect sense. Steve: Okay, awesome. So a little bit more on, before we dive in here on CrossFit. Because you’re a big CrossFit person, right? Jesse: Yeah, I’m more of a, I like CrossFit because it keeps me entertained. It changes up enough that I don’t get bored with it. I do a CrossFit with a heavy strength biased I would say. So, I’m a big fan of the power lifting movements, and I work along those lines and then I do CrossFit to keep me a little more spry, you know. So I would probably say I’m more of a strength athlete that mixes in CrossFit to stay humble, I think. Steve: Nice. Do you compete at all, like through the CrossFit games or anything like that? Jesse: Oh no, I mean I will pay my twenty bucks to do the open and you know slaughter myself for however many weeks it is, and then I usually pretty content not to do that again for a year. So it’s fun to you know just push yourself, push the envelope a little bit. But I’m learning I’ve been doing it for six years and you kind of learn that you can’t every day just go all out. You know, it’s partially me getting older, but I think it’s just if you want to stay in it for the long haul you kind of start picking your poison a little bit as well. Steve: Yeah. How much have you added in six years? Jesse: I’m up probably twenty five pounds. Not all muscles, but a good bit of it. So it’s, yeah, it’s entertaining, you’ve got a community around you. People are all various levels, there are you know, nothing, no one is crazy in there. You walk in you feel comfortable you know regardless of your skill level and you have a little bit accountability with the group. It’s just nice to get out and mix with people who also are interested in being a little bit more intense with, you know, with their fitness approach. So yeah I have no complaints. I’ve been at the same box the whole time and yeah it’s good fun. I have got a little set up at home as well, but I use that only if I can’t get in to the gym, you know. Steve: Nice. Yeah I’m starting to think about, you know I’m a mountain biker, play a little soccer on the weekends, ski and do lots of different kinds of things, but I’ve thinking more about lifting weights. I started, I broke out the thirty five pound dumbbells that I have from college. Now I’m like okay I’m probably going to hurt myself if I start swinging these things around. I’m going to have to ask you later about you know the tips about getting back into this. But I have been reading up on like, kind of weight lifting, weight training, strength training is actually really important for people. Especially as they get, approach fifty and get up there. You got to actually actively do this or you’re going to lose joint issues, you know joint issues and all other kinds of issues, looks like. Jesse: Absolutely. Yeah it’s like an anti-aging regimen that sure fire proven. Yeah you move well and you build strength. It’s just so healthy for you, women and men. And women don’t life any different than men, it’s the same exact program. Their numbers may be less some, but I know some that can lift a ton so, it’s just there is no difference in how you prescribe for men or women. Everyone does the same and you know you just change the weight a little bit, but the intensity is the same, the sets the same, number of reps all that. It’s so healthy, you just got to make sure you get instructions so you’re moving well. Steve: Right. Yeah, my wife did CrossFit for a while and you know it was clear it was all about kind of the movement and the community. I mean I find that I’m not, well you know we will see with weight lifting, but I pretty much need to go to a group or have someone yell at me. Steve: To kind of like to get some serious work done. It’s hard to kind of like sit up there like, so. Steve: Alright cool, well look, appreciate that. So I want to dive into kind of budgeting in general. Since that’s your air of expertise and also for our audience, it’s a big thing right, so managing cost. As people are heading towards retirement. It’s a huge lover that folks have. I think my perspective is you know, many people think they should do this and are aware of it, but few people do, do it, that, I would love to kind of get your perspective and like why you chose budgeting as your area of focus and why you have chosen to stay so focused on it. Because you kind of have this laser focus on it, looks like. Jesse: Yeah. Yeah, I mean budgeting specifically it was something that I found to be fairly passionate about. If you can get the budgeting right, everything else seems to start to fall into place, you know and if you can manage the in’s and out’s then your bank pounds starts climbing. You start to have excess funds to be able to invest and learn all about that. It’s a whole field in and of itself. Although not as complicated as we like to make it. Jesse: But budgeting is kind of like step one and I have found that there was, at step one you have a very wide audience. You have a large group of potential customers and so in our situation, whether the person just out of college at twenty two or they’re just getting towards retirement at sixty four is the same idea. We’re saying if you can get your money lined up with your priorities and really gain total control of your money. Not that you’re a miser not that your super frugal but just that you have control, and your money is doing what you really want it to do. Jesse: Then there are wins there, and there are wins there across all demographics, and at all stages of life. So it’s a good place to operate, you can get people from stress to serene, you know fairly quickly. Steve: Yeah, it sounds pretty powerful. I mean definitely having that sense of control over money is a huge thing. What percentage do you think budgets today. Jesse: Oh gosh, budgets well, you know a percent maybe less. But has some, a means by which they can live within their means, it’s probably ten percent, something like that. It’s, yeah there’s a lot, the ceiling is pretty high as far as capping out on our market and wondering what we will we do next? There are just so many people that just don’t have that fundamentals down. And if we can get them down and it’s just life changing for them. Steve: Right, I’ve been talking with this guy Tim Ranzetta over at Next Generation Personal Finance they’re pushing, it’s a non-profit, they’re pushing hard to get a personal finance taught to every high school student in the U.S. And he was telling me that fifty percent of students, high school students now have access to the curriculum, which is great, but only less than twenty percent actually take advantage of actually get taught this in high school. So eighty percent of high school students are graduating with no personal finance education and you know. Steve: And you look at the outcomes at their end of it, I mean, we’re at their retirements at or look at, and we okay yeah, look, almost nobody is really ready for retirement and that’s why they are getting in the front end and educating folks and teaching them what budgeting it’s so important. Jesse: Yeah and I struggle on the high school kid’s side because when you’re trying to teach those kids, they don’t have any pain, you know any financial pain yet, so sometimes it’s hard to get them to listen, because they’re just like, you know I don’t pay bills, I don’t have bills, you know. It’s what we really got to do is be able to intervene in some meaningful way when they are about to load up on student loans without even knowing what the ramifications are. And so if they just had one lesson where it’s just, was just, you know you just put this deep seeded fear deep in their belly about borrowing money for school that would be a great start. Because at least they would go into a financial aid office a little more educated and maybe a little bit more wary of what they are hearing, you know what they’re being told. Steve: Yeah, well as a father of three kids, I have a well-established deep seeded fear of college costs right now. Jesse: Yeah, absolutely. I’ve told my kids, I just said listen you’re on your own, you know if you don’t get grades, yeah just go to some school and, or heck just learn a trade and show up on time and do good work, you’ll have more work than you can handle. You know there’s, yeah, it’s a whole other subject that I’m passionate about but we’re seeing. I just saw in the New York Times, no, Wall Street Journal, couple weeks ago they were talking about bubbles and they were seeing the difference between the mortgage burdens since 2002 up till now, and you see it climbing away, and then really dip low, and then it’s slowly climbing but it’s actually maintained a fairly relative size. But you look at the student loan debt and it’s on a tear, and I don’t know what the ramifications for that will be. But we’re sending a lot of people on to the world that are already anchored and they won’t be able to buy a house because of their student loan payments. They won’t be able to buy a car because of their student loan payments, and I don’t know, I think they’re will be some kind of reckoning, that we haven’t all necessarily seen. Steve: Yeah, totally. I mean I actually my first business was around putting college applications, college research, college applications, inquiries, financial aid on the web, during the first doc.com boom. I remember even back then, you know college costs were appreciating it inflating at seven percent a year. You know twice the rate or over twice the rate of normal inflation. Yeah I was talking to a friend of mine and he has a daughter going to USC, and I was like, so how’s that? You know is it sixty thousand bucks a year for private? He’s like it’s actually eighty five thousand when you factor in like sorority and fraternities. Sorority cost plus the cost of school, I was like eight five grand, that’s just, kind of a mind blowing number you know. So we’re having to help the dialog inside our family about, you know, to definitely being cognitive of like how much debt that is and do you want to do that, is it worth it? Steve: You know I’ve met people early twenties somethings that are like, oh yeah I’ve got a hundred and fifty dollars in debt that I’m paying down and for me it’s kind of a mind blowing thing that I would definitely wouldn’t want my kids or any young person. You know, kind of, if you graduate with that kind of debt, then essentially, initially, then you’re going to totally be focused on, if you’re financially prudent, you’re going to be like okay how do I pay on this debt, right? Steve: Okay what can I do to make that much money right? And I’m going to think about like whatever accounting or engineering or whatever the number is, right? It kind of, it immediately limits you in a way that may not be good and kind of constraint your life, so. Steve: I got to imagine a lot of families are talking about this. Jesse: Yeah, it’s like, it feels almost like a form of indentured servitude, you know. You just kind of get into a spot where you really can’t, like sharecroppers, you know. It’s like you’re there and you really don’t have a way out, and it’s scary. I think we’ll see something start to break. I’m hoping the competition from online schooling, and I don’t mean the shady ones that want you to borrow, but just online availability of education, democratization of those low level freshmen classes, where you have a thousand kids taking econ.100, like that is a model that does not cost ten thousand dollars a year per student, you know. So, things like that I hope happen and then I also hope that some kids recognize that their skills don’t lie in the liberal arts and they can jump to other spots where they’re really fulfilled and making great money, and providing well for their families. Jesse: So we’ll see, I have a lot more reading to do on the subject and you know more studying and thinking. It’s on my mind and doesn’t seem to leave. Steve: Yeah, there’s different globalization right? Steve: Yeah, so, you know, actually another comment, back when you said about budgeting and why it’s important and you know one thing that came to mind is you know I was talking to Bill Bernstein and we were talking about retirement planning and you know he was like, hey retirement planning is something that simple to do, simple, it sounds simple, but it’s actually hard to accomplish, I feel like budgeting is the same thing, it’s like oh you know, it’s a simple idea, but it’s actually hard to get on track, you know. What do you think, any kind of big things that people need to think about or should they embrace tools like yours? I mean obviously biased to kind of get on track. Jesse: Yeah absolutely. Ours is the best tool, no any tool works, but really, they need to think about it from a mindset perspective and this tool agnostic. They need to think about how they’re thinking about their money and that’s the biggest change we’re try and get across. If we teach people a new way of thinking about their money. We teach them that budgeting isn’t at a rival point, you don’t say, okay now I’ve a budget, now I’ve, you know, now I’m here. It’s not binary it’s much more gradual and you probably swing back and forth a little bit from good to not so great. But at the end of the day we want people regularly and intentionally deciding what they want their money to do, and that’s budgeting. And when their money doesn’t do what they wanted they assess change and then again decide what they want their money to do. And when they see that they have larger expenses coming down the road, you know Christmas is coming up or a big family vacation. They look at that and say, okay well we are going to save up for that, we’re going to budget, you know for six hundred dollar vacation six months from now. We’re going to budget a hundred dollars per month, and they start to just treat all these future obligations current obligations, the wants, all of that as claims on their money. Jesse: And then it’s just a game of tradeoffs, and essentially manufacturing scarcity in their mind, where they say, if I put something here, I can’t put it over here. Having that exercise of feeling scarcity, feeling money run out, having them really work for them, where they then have their priorities being flushed out. When that works, what they are not making more money, they haven’t gotten a raise or anything, they haven’t even cut cost. All they’ve done is just made sure their money is doing what they want, suddenly they feel good. And it’s a strange, strange phenomenon, but it happens almost without exception, that way. So it’s really just thinking different, you can use any tool you want really. Just thinking different and being proactive, instead of being reactive with your money, that’s the key. Steve: That’s really interesting. We’re, you know inside of our company we’re talking about, what’s the ah-ha moment when people kind of get. Steve: You know, where there’s a lot of value here. It sounds like for you, it’s, is it that moment when they start kind of orienting themselves about how they think about money. Is that a psychological thing? Jesse: Yeah. There are a few spots, one is when they realize that they only should budget money that they actually have on hand they shouldn’t budget their paycheck if it’s coming up. They should budget the one that they’ve already been given that’s been deposited in their account. So that little change makes budgeting so much easier, when you only deal with what you have on hand. Even if you’re going to be paid in three days, just deal with what you have on hand, when you make your money, then deal with the new money. That alone, that difference from between budgeting and forecasting is huge for a lot of people. Jesse: Another one is when the recognize that when they overspend, they go over budget on whatever, that it’s part of budgeting. That’s just part of living. So they just adjust their numbers and move along, and they recognize that budgeting is about, it’s not about being a perfect guesser at what you will spend, it really just about being intentional about what you want your money to do. Those two seem to be pretty big in the ah-ha category. Steve: That’s really, that’s really helpful. Yeah it seems like something that you don’t think about it, but it can be game changing. So, I have this analogy, just like, you know people who meditate, who talk about just learning to breathe deeply and be thoughtful. And you’re kind of like, oh I breath all the time right, but hey if you actually take ten seconds, you know whatever thirty seconds and take six deep breaths, you know. It generally changes their approach to life. Sounds like there some elements of that in budgeting. Cool. Steve: So, you know, a side question for you, as you’re new budget is grown and gotten bigger. Has your own personal budget changed a lot? Jesse: Oh yeah, absolutely. I used to, I mean gosh, we used to not even take a steady salary you know back in the day. Finally, I think five years into it I told Julia I think we’re able to pay ourselves regularly, you know. Like a specific amount. It was nice to do that. Although that was the same year, we had to raid our own emergency fund, to push things through, to launch, you know third version of the software. So it kind of, you know it gives and sometimes it takes away it seems. But, but yeah, I mean definitely I’ve, it’s grown. Jesse: Sometimes you get nostalgic of the old days, you think, man we used to live on so much less, what the heck has happened? And it’s not just we’ve had more kids, kids aren’t that expensive. It’s your lifestyle just, you get lifestyle creep, and what once was a luxury becomes a norm and what once was a norm becomes an entitlement, and pretty soon you’re this soft individual that, you know can’t manage anything on their own. Jesse: So you have to kind of be careful, it’s almost a stoic, you kind of have to approach it like a stoic would and say well I’m gonna push back on this. Because I need to make sure I can I’m still you know have a little bit of metal left in me. You know I can sleep on the ground and what not, but yeah. Jesse: Budget has definitely grown and I love it. You know, I mean, it’s very nice to not have to be scrabbling if we have a hundred dollar expense that hits. Yeah, because I readily remember those days still, and you know they’re stressful. We have different stresses, the stress never goes away, it never goes away, just different stress. So you got to learn how to manage stress apart from learning how to manage your money. Just recognize that if you’re alive you will have, you will be experienced in stress, you got to be able to manage that. So we still have stress and all that, but, yeah Julia doesn’t have to know exactly how much a can of corn costs, those kinds of things are nice. Steve: Nice, sounds good. Do you use, need a budget for your own, for your business as well as your personal life? Jesse: Personal absolutely, I would be lost without it. But on the business side I did up through last year, and then we had to switch to an accrual accounting, and YNAB is insufficient as it relates to an accrual. You could probably shoehorn it in some way, but I didn’t want to mess with it, and I miss it terribly. Not having it in the business, because when I did move YNAB the business to YNAB the software, back in 2010, it was a real growth accelerator for us. Having that kind of intention put behind our cash flow, helped. It eased a lot of my burden around can we afford this? Should we invest here? Because I could see oh look we have the cash. It’s allocated to hire, so yeah, let’s hire. You know verses being afraid of every single expense that came across. So it helped us a ton. Jesse: Anyone that has got a small business they’re doing a cash accounting not accrual YNAB will be tremendously helpful. It’s anything where you don’t have to carry inventory. You have very simple or now accounts receivable, and you deal a lot with just in’s and out’s realtors, solo operators, YNAB really, honestly a lot of people, if they start with their business first, it makes more sense, because they’re usually the only spender in that scenario. They aren’t having to do it with a spouse and I don’t mean that negatively I just mean it from a complexity stand point. So there just running their own business, their own YNAB for the business. If they get used to that a lot of time they do the learning there and then they can transfer it back to their personal life, with a spouse, where they’re sharing and things, and it works out a lot better. Jesse: So if you’re kind of struggling on the personal side, but you’re running a business, I’d maybe implement it in the business first. It tends to be a little bit easier. There are fewer transactions, there’s less collaborations. It’s just a little simpler as far as a learning platform goes. Steve: What percent? Yeah it’s interesting idea. What percentage of your audience is like solo, solo operators, you know solo proprietors, side gig people versus people just budgeting for their family or themselves personally? Jesse: You know I actually don’t know that. We’ve never actually surveyed around that to ask. It would probably pretty, representative of a normal population, you know. So whatever the, where ever we land on a population front, we’re probably right around there as well is my guess. Maybe we attract a little more of the solo operators. Just because they’re kind of use to tackling things and self-learning in that way. But probably nothing out of the ordinary. Steve: In the course of building this business and obviously servicing, you know, tens of thousands of people now or more. You know, any stories that jump out from individuals that, kind of had life changing, you know, huge changes in their life from using your software? Jesse: Man, an individual like a specific story, I don’t know if I could tell you. We’ve featured some in my book, that were pretty through. One of my favorite things is to go into our feedback channel in SLACK and that’s where a lot of the customer service team, you know we’ve got support specialist and they’ll drop notes in from people that write in and say how YNAB has helped them out. And sometimes they write in they’ve been using it for three days, sometimes they’ve been using it for three years, but people aren’t being overly dramatic when they say it saved their marriage. That they’re sleeping better, that they feel a tremendous relief, that they just feel better about things in general. Jesse: And it’s not that YNAB is this magical thing but when money, you can say invasive in our lives. It touches everything, so if you’re in a relationship money is going to be a factor for sure. And if you can master money then suddenly you don’t have that one massive lever there being pulled on you when other normal stresses happen. I would rather have life stress happen without having to have it compounded with money stress. And so if YNAB can be a relief for people there, where they just say, hey at least, you know I lost my job serious stress, but at least I know that I’m covered for the next two or three months and I can take my time, find the right job. Jesse: That’s life changing, it’s just a process of recognizing that you have things well in hand and being able to kind of breath a little easier. But specific stories I would have to go back through and, I mean we can find them for sure, but it’s really kind of the whole, like I feel like we do good. And make the world slightly better in our little corner of it, and that’s something worth getting up for. Steve: Totally. Well money is a huge deal and we see that now as well, in our side where you know, talking to folks that are using our tool. And a lot of times they’re, you know they’re, it’s the core problems isn’t money it’s like the, the stuff that’s happening inside of their family. It could be like okay, how much are we going to allocate to pay for someone’s college or you know support another side of the family? Things like that you see these, I think if there’s a lot of this family dynamic stuff that happens and people have to make these decisions and they’re is scarcity, right? And future risk? Steve: Right? If like, well I’m going to take on paying so much for college or hey we’re supporting your family over here and that’s costing us fifteen thousand bucks a year, you know that’s gonna definitely impact us downstream. Being able, having a way to kind of facilitate those conversations and get resolution, can be game changing for people. Jesse: Yeah absolutely. And it’s stressful it’s always going to be stressful, so having the money be less of a stress in that way or less of an amplifier is a big deal. Steve: Yeah. Alright so I have a question for you since we are in the process of rolling out our own kind of paid solution here. What is your growth curve look like from kind of from zero to one hundred thousand, ten thousand, you know tens of thousands of people? I would love to hear that. Jesse: Yeah. Do you mean from like the very, very beginning? Jesse: Or when we switched models? Steve: Well give me, I would love to hear more about how you switched models too, because I didn’t know, I don’t know that side of your story. Jesse: It was slow at first, like getting the first customer took two weeks. After, I thought it wouldn’t work, you know. Actually I had to give her a refund because it still didn’t work for her when she bought it. But, and I say she because I totally remember the, like I remember her email address still to this day. But that first customer is a big deal, because it was almost, like hey this did work at least for one other person, maybe there’s something here. And so yeah, it was very, very slow, I mean I don’t even know when we had our first hundred. I remember six months into selling the, what was the spreadsheet at the time. Jesse: We had sold thirty copies in one month. So I had hit this big milestone, where we were selling one a day, and that was a big deal. You know, so, and then about six months later we were just kind of steadily growing, and I started selling, kind of pitching the rules instead of the spreadsheet, and really focusing people on the rules behind it, and not just telling them a spreadsheet. And that really changed the residence with people to where they recognized, oh this isn’t just a tool this is a way of thinking. And when I did that and really started emphasizing the rules, that we still do this to this day, I saw sales basically double overnight. I mean, when I say overnight I mean literally overnight. I put out the new site focusing on the rules and suddenly we were doing twice as many per day. But it was still tiny. Jesse: It was tiny enough I wasn’t thinking it was anything for the long term. I was think, well this is great, it’s additional cash for us while we’re in school. I was able to cut my hours at my internship. Able to keep work, you know keep working on school and getting good grades there. And then I realized once I probably two and half years in, I realized that I was making more money at YNAB, then I was from my real job as an accountant. But I was working eighty hours at my real job and I was working at YNAB like from four to five am in the morning. Jesse: So, yeah, I was slow to realize the obvious, but I thought I should probably drop this accounting gig. It was just hard for me to unpack that what I call brainwashing, that happens, you know, like where they’re just like you got to do this for five years, you know, this is your career. And it took me a while to realize well maybe that’s not the case. So yeah it was, we just grind, I mean I don’t, I never even have thought of a growth curve. We just always have been kind of, we find, we found a trench and we just keep digging in this trench over and over again. Hopefully with maybe a little nicer tools or with a little more sophistication. But at the end of the day we just found a good niche and we just keep, you know, we just stay right here, keep doing what we’re doing. Steve: To a, is that the big change that you went through, they switching the subscription? Jesse: Yeah that was end of 2015, so we’re almost three full years into the change, at this point. And it was a scary change, I know it would be scary. I tried to save up a ton of money to float us along as we knew that would happen, it would be a hit. But we were not in a sustainable position for the up, like that major release upgrade cycle. Our user base kept growing, but we weren’t being paid. And so you have this ever growing base, and some users literally never cost you any money, they never ride in they just do their thing. And that is totally true, as you’re looking at how can, how to make this sustainable, we thought well maybe you pay for support or pay or that didn’t feel good. You know trying to throw up, like if someone writes in are you supposed to say, like well, I’m sorry I can’t answer your questions because you haven’t paid for support, that just felt really antithetical to what we, what we wanted to do. Jesse: So when we looked at this new model it lead us not have to hold back and make big splashes. It let us put something out there at iterate on it, and be wrong in a small way. And then fix and then refine everything about the model was better for us. It’s allowed us to cash flow better, although we’re rapidly hiring so we just are kind of pushing the envelope there, but it has allowed us to support more effectively because we have far more resources to throw at support. We, our response time is very competitive. It’s allowed us to higher more engineers and keep building. So it’s, put us in a spot where I feel like, okay we’re in it for the long haul now. Jesse: I didn’t have to worry about eventually just saying, gosh I only have just a skeleton crew. We can’t support any more and we just kind of ride this out. Steve: That’s great. Cool story. I don’t know if your open to sharing, but how many subscribers to you guys have now? Jesse: We don’t, yeah, we don’t share that, just because there is no upside really. And on a, well what really happens to be honest, is you share that and then you end up getting tons and tons of cold calls, from like investors, they all want to reach out and connect and I end up just having to fill out all these emails, so I end up keeping a couple things close to the, close to the vest. But pretty open otherwise. Steve: Sure, totally get it. So do you think you will ever take outside investment? Sounds like no. Jesse: You know the only thing that I would love, if I were, I would probably, it would be because I had some life even that dictated that, you know. And I have no idea what that would be. But something that said hey Jesse things have changed. Maybe something outside of your plan change that you need to look at this differently. Jesse: My favorite approach at the moment would be something where YNAB, this sounds crazy, but YNAB the company could borrow money to buy out some meaningful amount of my ownership and then that could then belong to the employees of YNAB. In some kind of a ESOP or something. And then the employees, the team, they can, they would just work and continue to grow the business and pay off that debt. Eventually I would be a minority owner and you would have employees as the majority owner. That could be a pretty cool situation, because it would protect it. I would really have to know this investor well, to say, oh yeah go ahead and jump in here. Jesse: Even if they buy ten percent, I’ve heard stories that it’s, where suddenly they’re a ten percent owner, but it feels like they run the whole show. So I’m afraid of having another boss. Jesse: Yeah, it’s not like an out of left field idea. It’s funny, I mean we’ve never leveraged before. So it would be funny to, like a little weird to do that. But I think for that purpose it could work. Jesse: It’s a though roller. Steve: Yeah, sure. Side note I just had Kyle Taylor from the Penny Hoarder on the podcast, he is another entrepreneur. He is located in Florida. He’s got the fastest growing private media out there, for a couple years in a row. And he totally bootstrapped the thing as well, you know, and it’s a great story. Steve: Has grown this thing and now is over a hundred employees and is cranking, so anyway. It’s good to hear the stories. Jesse: At that point I’m more a curious or concerned about growth at that point, you know, I want to have healthy growth. So as things really start to take off, it’s almost like you want to make sure it’s the trajectory is healthy. I want to be in it for the long haul. You know I don’t want to have this big, this white flash of activity and change and then realized, oh my gosh this morphed into something we didn’t intend. I want to make sure that the growth is healthy, sustainable, the teams happy, you know and all that. Jesse: I’m sure he’s doing the same like growing fast is hard, but it can be done, you just got to make sure devoting lots of effort to channeling that growth in the direction you intend. Steve: Well, I think the founders have a good idea what’s healthy. Steve: And when you do take outside investors very often, depending on who they are, you know, they could be looking for that fast growth in a time frame for an exit. You know, like you see here. Steve: They put up shops, like yeah I’ll put your money, I’ll put money in, but we’re selling this thing in like five-seven years and no matter what, so. Steve: Regardless of where we are at in the business cycle or what not. Jesse: I mean a lot of times they’ll have buyers already in mind, you know when they buy stuff, they already know who’s going to buy it from them. Yeah it could be, it could be pretty dicey for founders. Steve: Yeah totally. So appreciate the caller on the company. I would like to get back really quick to the community, you know, and kind of that side of your business, because it does seem like that was transformational for you, and I see that on your site. Steve: You know, I see the method. I see the courses and the fact that you’re doing both kind of live and recorded stuff. You know just would love to learn more about, you know how that, how that you know kind of is part of your business, and what you’ve learned doing that? Jesse: Yeah I’ve, we’re an education company that sells software to pay the bills essentially. We just teach, and teach, and teach through one on one support, through workshops. We’re piloting a few other teaching channels that are, kind of new enough I wouldn’t want to say, but they’re, that’s our bread and butter. And we’re really good at software, we’re really good at the tech, really good at design. But where we’re, we’ve been differentiated for a long time and where we compete really well in the space is in our education. So that’s been big and then our customers, they’re so helpful, you know, and they teach each other and our community. We have a really active subReddit that’s really fun for me to scroll through and read. I like, people would have rants on there, I’ll read the rants because those are really educational as well. You read the raves they make you feel good. Jesse: And you, there’s just a vibrant community of people and they’re so kind for the most part. I’ve been surprised at how kind, like there’s this corner of the internet seems to be fairly kind, and I’ve enjoyed seeing that happen. I don’t why that’s the case, but we seem to attract users that are helpful. So when you do join and jump in and you ask a question in one of the many Facebook groups that are out there or even some local, like meetup groups. You just find that there are people that are, like, oh yeah I’ve been there, and here’s how you can keep going, and yeah you get a little bit of a support network. So it’s a, yeah you know I love seeing that aspect of it. It’s really fun. Steve: That’s awesome to hear about. So you deliver all this education and support kind of for free, right? I mean I could go on there and just sign up. Steve: And like take these courses and what not and then it’s my option if I want to pay for the software and do you. Jesse: Yeah, that’s what I mean. Well I was going to say like, it, the courses don’t sell the software in the sense of you don’t have a teachers saying, if you buy now you’re going, you know, none of that. But like it’s a great sales pitch nonetheless. To see it see the software in action and how you’re supposed to think about it and stuff. So it’s an effective selling tool, even if we aren’t actively selling in those workshops. Jesse: Does that makes sense? Steve: No yeah I get it. How long have you been running the workshops? Did they, did that, you know, has that been going on for years or did it, looks like you’ve got a ton going on. Jesse: Yeah, years and years. We started them maybe in, oh gosh 2008. We started running you know webinars with like hundreds of people and then we’ve just kind of refined them over the years. And we like doing the workshop where people can say a question, type in a question, we like that it’s, we keep the classes small enough your specific question can be answered verses just watching a glorified you know powerpoint presentation, that, where there’s no interaction. That’s pretty, pretty boring. So our teachers are really good at facilitating and connecting with the students individually. It’s a ton of fun. The teachers are so good at it now, at this point, it amazes me. I could never pull off what they can pull off as far as how on top of things they are, how smooth they are. You really can’t surprise them with a question at this point. I think they’ve seen them all at this point. Steve: Well you know, it’s so cool about what you are doing is, you’re achieving behavior change in people around personal finance which is really hard to do, and everyone is trying to it with technology and software, and I think you’ve got it right. Which is, it’s about education, it’s about the personal connection, the community. And having that educational component and the group dynamic. I totally get that, I totally get why this works and it’s growing and growing quickly, it’s awesome to see. Steve: Yeah and also you yourself are like obviously invested doing three hundred and forty two podcasts and I know you’ve been doing these whiteboards and stuff like that, from the beginning I said I watched that video, so. You’ve embraced it. Any lessons that you’ve taken away from kind of doing all these podcasts and videos and stuff, yourself. Jesse: Yeah the videos I stopped, we were in New York for the book launch, and then when I got back from New York we were there for three months. I got back from that and just, just like, I’m going to take a break from the videos, just literally just to take a break. I just, I want to pause on these. But the podcasts are so easy to produce because they’re so darn short, you know three to five minutes. That I can, I just, I come up with a topic I talk about it and for some reason some people are okay listening to it. So usually it’s about budgeting or somehow I tie it in, in some very reaching way at times, but I enjoy it. You know we have a lot of listeners at this point. I’ve been doing it for so many years I prob, gosh probably almost seven years now. Jesse: That I think I was doing podcast before everyone had a podcast so. It’s like mines still the same as it was, it hasn’t improved at all. Maybe it made delivery is perhaps improved slightly. But like as far as production quality and all that hasn’t really improved much. We have actually done more with our debt stories segment that’s, where we’re really trying to kind of push the envelope and make it different, you know in that way. And that’s been a fun project. Steve: Yeah I listened to one of those, I listened to one of your podcasts, you know your three or five minute ones, and then I listened to the debt story. And I thought the debt story was really good, because it, you hear really world stories from someone and what they are going through and how they can make their lives better. That’s pretty cool. So any big influencers on your journey here that you found really helpful as you built the business and kind of built your community? Jesse: On the software side I’m a pretty big fan of Jason Fried, you know he’s the base camp founder. He just kind of be pretty pragmatic and thoughtful. So I’ve followed him for years. His original book that he wrote with his business partner can’t remember the guys, David Heinemeier Hansson, he, I think it’s called Getting Real. That originally book was very informative on the software side of things. Jesse: On the marketing side back in the day Seth Godin with an old book at this point, but it was called Permission Marketing, was really, really informative for me. More rec…, I’m not much of a consumer as it relates to kind of ongoing content from people, but I’ll read books, because I know books have been through a long, long process, you know so. Jesse: One of my favorite books and it’s super relevant for anyone that is, well it’s just super relevant, is Cal Newport it’s called Deep Work. I require that by ever, you know that every single team member of ours when they start they read it. A lot of us are rereading it again right now in this month and it’s just great. As far as how to do really deep work meaningful work, not just keep things shallow and kind of transient in your thinking. I like that one a lot. Another business book I really enjoyed last year was by Ben Horowitz, big BC guy, and it was called The Hard Thing About Hard Things, that one has some absolute gems. Especially as your team count gets to be forty, fifty plus, you’ll really start to find him saying things where your thinking oh my gosh I just did that wrong or oh we just saw that. So that one has been really helpful. Jesse: I like Andy Groves stuff too, he’s the old intel guy from way back. High Output Management actually really sold on the management side. So Traction is another good one Gino Wickman, wrote Traction and that was very informative for us as we were trying to just ramp up to the next level, as far as kind of the life cycle of why have the organization. So I’m a pretty avid reader and, but not much of a podcast blog kind of follower. Steve: Totally do you do any, thanks for the list of books a appreciate it. I’ll read some of these that I haven’t read. Do you participate in any like mastermind groups or anything like that? Jesse: I’m a member of Vistage, it’s more a, I mean if you’re a CEO or an owner and, of a company size. I can’t remember what the minimum is for a company size, it’s pretty small. But I go once a month to a group where we meet together and we just work through issues and things. And that’s been very, very effective for me. It help me kind of grow up a little bit in my role. I really like that, but no, no groups that are more specific to my niche or anything like that, just that one. Steve: Cool appreciate that. Alright so, you know Jesse I appreciate your time. Any, anything else you want to touch on, I mean I, one side note I saw was like you were looking at getting a dog, which a.
Steve: Did you actually end up doing that? Jesse: I did way back, yeah it was, it was a super fun, but she, I think she had some kind of a, like a something from birth, you know something that was wrong with her, something congenital thing. So we only had for six months and then we had to put her down. The vets couldn’t figure out what was wrong with her and it was kind of rough. I was amazed at how fast I connected with this dog. It was Belgian Malinois. Because you know I had for six months and man I was just wrecked when we had to put her down. I can’t imagine when people have a dog for years and see kind of their kids grow up with this dog and then you, you know you have to let the dog go. So I want another dog, my wife needs to be convinced so that’s the issue. All my kids are convinced we should get a dog, it’s just my wife. Jesse: So, one of these days you know, one of these days we’ll, I may be able to win her over somehow. I’m not sure how exactly, but that’s on the list. I’m into woodworking lately and that’s been fun. Something kind of totally, totally analog, you know away from computers and something that I’m really bad at and so it’s fun to kind of be in the novice stage and think something is fantastic when it’s very, very beginner level, you know. But that’s, that’s been fun, so I’m always kind of changing things and diving in on stuff just learning, you know. Steve: Thanks Jesse for being on our show. Thanks Davorin Robison for being our sound engineer. Anyone listening, thanks for listening, hopefully you’ve found this useful. Our goal at New Retirement is to help plan and manage their retirement so that they can make the most of their money in time. And if you have made it this far I encourage you to check out YNAB you need to budget, also check out NewRetirement.com where you can build your own plan or take advantage of our primum advanced tools and support. Oh you can also find us on our Facebook group or follow us out there @NewRetirement on Twitter. Alright everyone have a great day.